Pinterest, the popular photo sharing social network announced Pinterest Web Analytics, a first step towards finding out what people are sharing from websites. Pinterest Analytics gives website owners insights into how people are interacting with pins that originate from their websites. To get started, verify your website on Pinterest. Visit your Settings page and click on the Verify Website button. Pinterest only supports top-level domains, such as mysite.com. If you have a verified website, you’ll get information about how many people have pinned from your site, how many people have seen these pins, and how many people visited your site from Pinterest. Analytics will also show you a selection of your most repinned, most clicked, and most recent pins so you have a better idea of what’s popular. For example, if you have a travel blog, you’ll be able to see whether people are pinning your ski vacation posts or beach vacation posts more. 1. Make sure you have a verified website. If you have a website listed on your profile with a check mark next to it, you’re verified. 2. 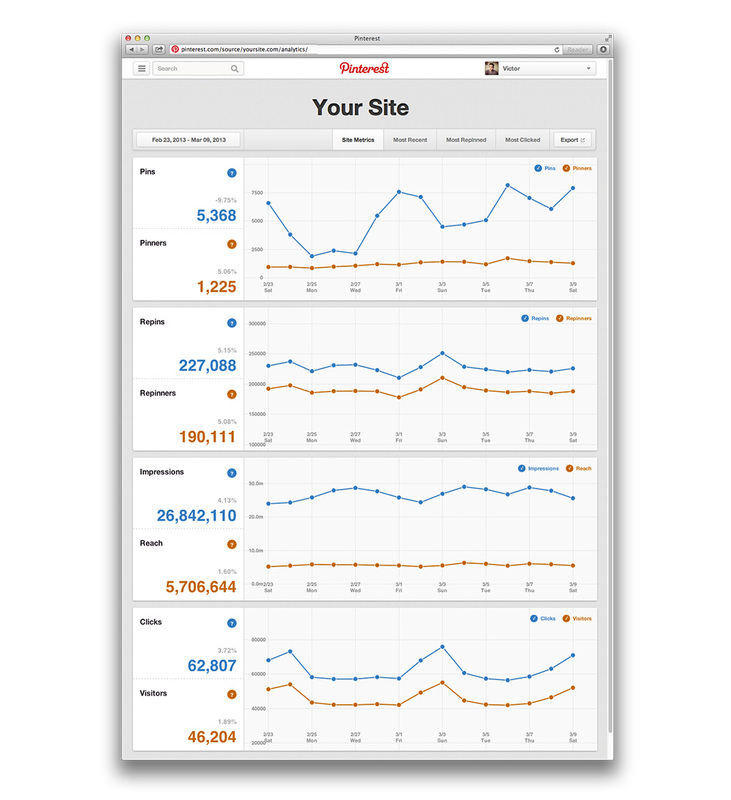 Once your website is verified, go to the top right menu and click on Analytics. 3. Start exploring! Change your date range to see how things have changed over time or download your analytics to sort through the data on your own time. 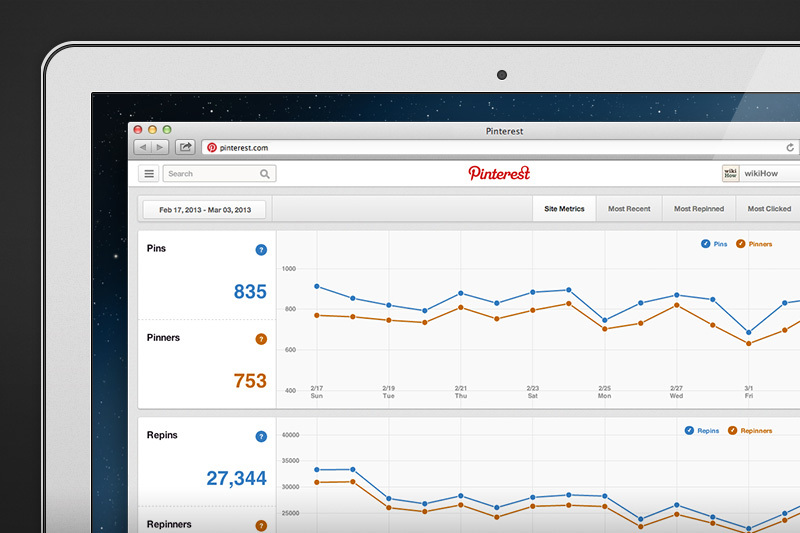 Pinterest offers website owners business accounts, Pin It buttons and board widgets. Along with Pinterest Analytics these tools help website owners understand what’s working for them and what’s not so that they can create even better pins in the future.